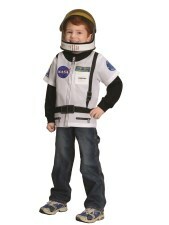 This Kids Astronaut Costume build a combo set completes the preparation for your Jr. Astronaut's dream mission! You choose the accessories you want! New! Now Available in Black and Orange! 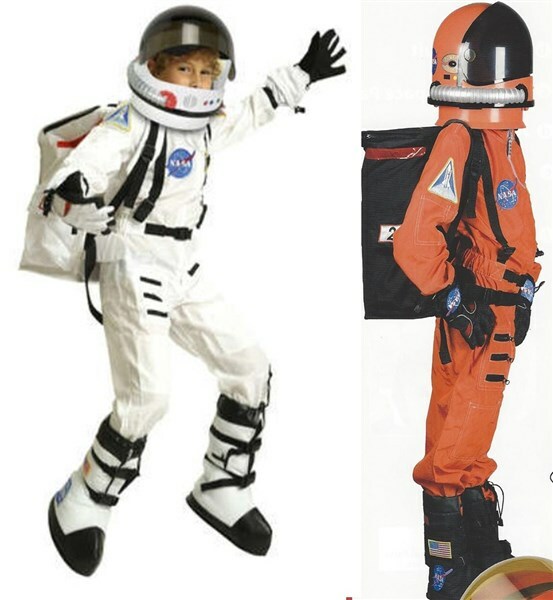 Includes Suit in NASA White Or Bright Orange (Select size/color below). 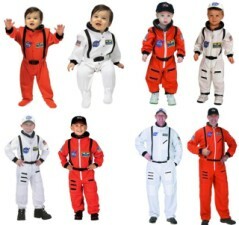 Official looking NASA patches including special commander patch. 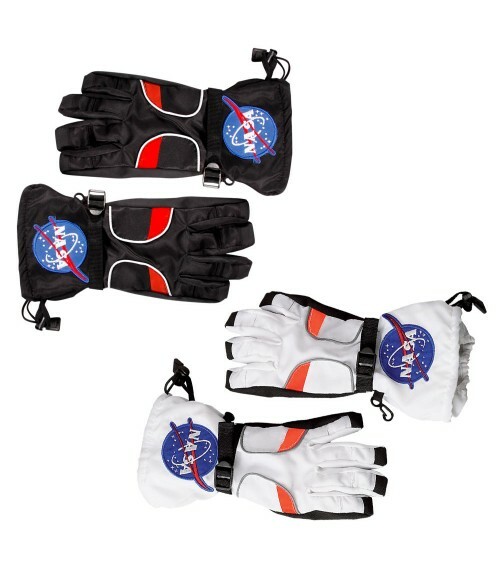 Official embroidered NASA cap included. One piece jump suit with front zipper. 4/6 Fits 32-50 lbs. Height 35-44". 6/8 Fits 48-62 lbs. Height 42-50". 8/10 Fits 54-86 lbs. Height 48-56". 12/14 Fits 80-110 lbs. Height 54-60". Adult Small Fits 110-160 lbs. Height 62-67". Adult Large Fits 175-190 lbs. Height 68-72"
Now add your choice of accessories! Boots are open soled and intended to wear over shoes. Now in White or Orange! Diameter of opening ring is approximately 9.5"
Circumference of opening ring is approximately 30"
Choking hazard....Helmet is not for ages 3 and under! Requires 3 x 1.5volt batteries. Sample batteries included. 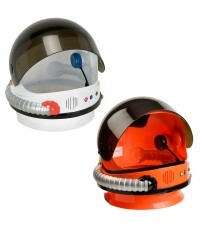 This youth astronaut helmet is smaller in size for younger astronauts to enjoy. 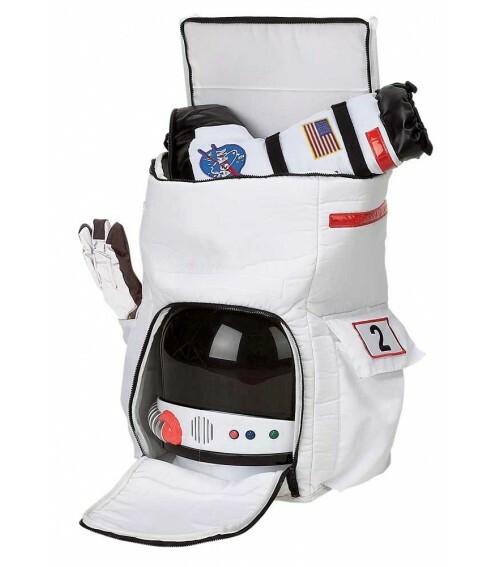 Holds all your space gear. 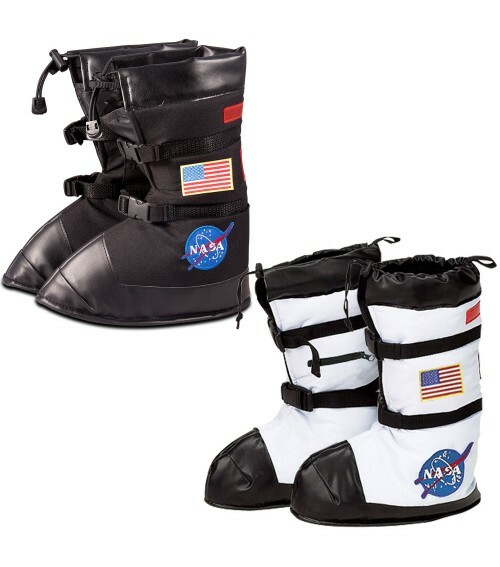 Top compartment holds boots or suit. 3 way harness system for comfort. Large fits Ages 14 and up. This item cannot ship outside of the United States.